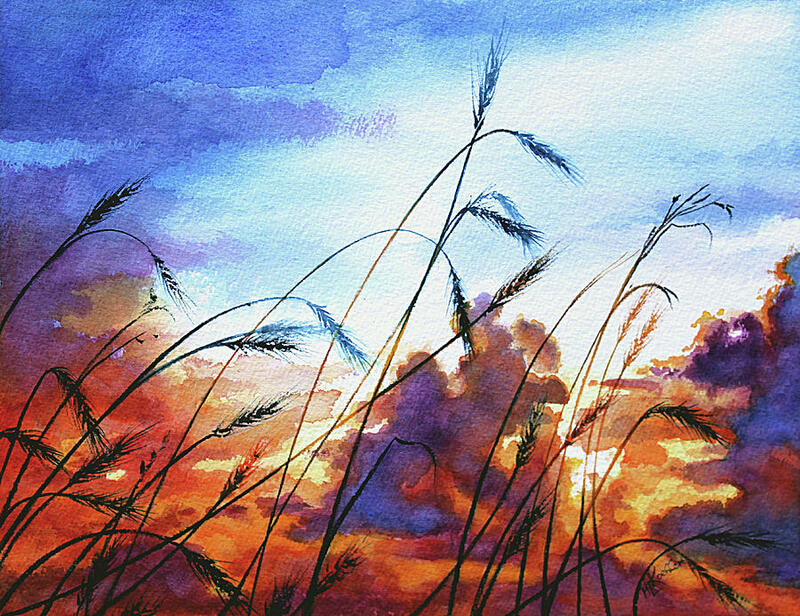 Prairie Sky is a painting by Hanne Lore Koehler which was uploaded on October 6th, 2010. Wheat in silhouette against a prairie sky appears to be fragile but its strength is proven time and again as it survives vicious prairie storms. 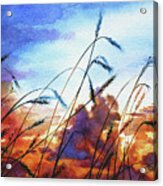 This watercolor painting of colorful storm clouds in a prairie sky sunset with a wheatfield in silhouette can be found in midwest states, Montana, Kansas and Canadian provinces, Alberta,Saskatchewan. Thank you to the hosts of the following groups for featuring my image. I appreciate your kind support and promotion! 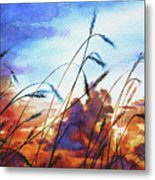 Thank you for your thoughtful appreciation of my painting, Hartmut! 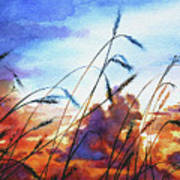 Thank you, Pamela, for including my painting in the features of ABC-SKY group! I am honored! Thank you for your thoughtful comment and support, Phyllis! Thank you for your thoughtful comment and support, Sunil! Beautiful, Hanne ! Congrats on your sale! Thank you for your kind comment, Karol! Thank you for your thoughtful comment, Jon! Thank you for your kind support and prinition, Zina! Thank you for your thoughtful comment and support Juergen! Thank you for your thoughtful comment and support, Jerry! Thank you for your thoughtful comment and support, Theresa! Gorgeous! Have so enjoyed browsing through your beautiful paintings. Thank you so much for your kind visit and thoughtful comment, Michele! I appreciate your generous promotion, my friend! Thank you for your thoughtful comment and support, Elaine! Thank you for your kind comment, support and promotion, Zori! Thank you for your thoughtful appreciation and support of my painting, Doug! Thank you for your thoughtful comment and support, Victoria! Thank you for your sweet comment, support and generous FB promotion, Lisa! Thank you for your precious comment and support, Kellice! Thank you, Omar! I appreciate your thoughtful comment and support! Thank you for your kind comment and support, Nina!